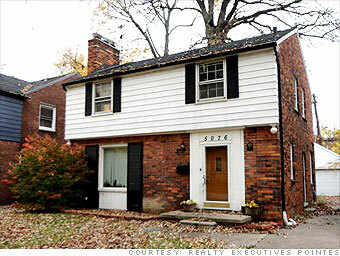 Detroit's East English Village is a well-kept neighborhood of tree-lined streets just north of the affluent Grosse Point. In it, resides this Colonial-style, 1,500-square-foot home, which sold for $49,900 just four years ago. But now, realtor Chad Evans worries that they won't even get the $15,900 asking price for the place. Home prices have been decimated here and this home also needs a new furnace and a new kitchen, he said. The last owner stripped it of appliances and other things of value several months ago, he said. "I bet we get $9,900 for it," he said. "At that price, it's a great house, a perfect starter home." NEXT: Royal Palm Beach, Fla. It may not be 1600 Pennsylvania Ave., but the presidential candidates reside in some pretty nice digs. Here's a look at where they live -- at least, for now.